Have you ever looked for something you know is in your home and been unable to find it? Have you lost the infamous critical document or something infrequently used? We’ve all had these experiences, and they can be very frustrating. “A place for everything and everything in its place” is the conventional wisdom and old wives’ tale of organization. As a general observation, middle class Americans don’t suffer from a lack of “stuff.” What we may be more challenged with is the ability to manage and access all of our possessions. 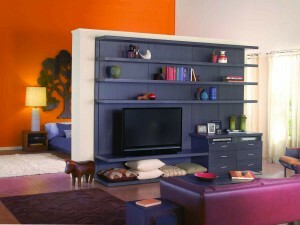 Organizing your home is not only a matter of making order of physical objects. It actually starts with a state of mind. In other words, getting organized about getting organized is part of the process. As a first step to organization, consider a decluttering exercise to reduce the items that need to be stored. Most of us have a multitude of objects that we haven’t used in some time, perhaps things that are broken or simply don’t serve a purpose any longer. Anything that hasn’t been used or worn in the last year should be given scrutiny. Ask yourself, “Does this ________ really warrant a place in my home?” Discarding articles that don’t pass the test is a productive first step and greatly simplifies storage needs. 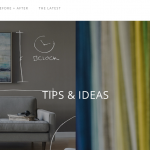 A qualified designer or organizer can often be an enormous help if this task seems daunting. 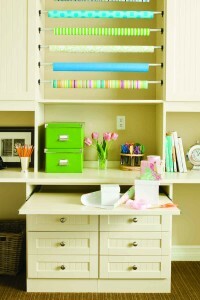 As you think of organization, always work one room at a time and start with the largest and most obvious things first. Your success will be instantly tangible and visible. Let the function of each space dictate what it contains. For instance, the primary function of your bedroom is rest; therefore, it should contain only items that promote relaxation and sleep. Multiple books, anything resembling a project, or work should not be present. 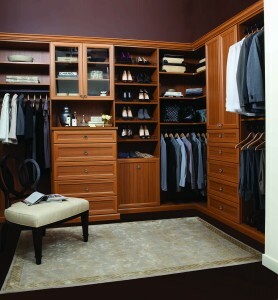 Your closet should ideally only contain this season’s clothing; the kitchen should house only objects which will be used for cooking, eating, or related functions; the entry/ foyer should be inviting and uncluttered, etc. The next step is to categorize like items, evaluate their different types of requirements, do some research, and then decide a best method. There are products available to optimize storage for almost every conceivable object from A to Z. Let’s take a room by room look-see. The type of storage and the look desired in your foyer or entry is dependent on whether the space is an entrance for guests or your own primary access. Your family entrance, or “grand central,” is typically the side or rear door. This space should contain easy and visible access to keys;coats; shoes; seasonal (easily lost) accessories such as gloves, scarves and hats; if you have children, a place for book bags and other school gear; and daily use items such as a mail center. A calendar is a great addition to a practical family entry, and can be located on the wall or inside a closet or cabinet door. For solving this multi-faceted dilemma, custom fabricated casework or prefab furniture units are designed just for this purpose. 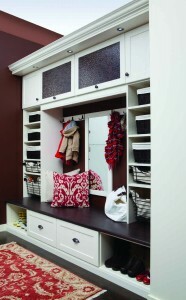 Simple solutions such as shelves, coat hooks, and small bins can work as well.